Found this image on an old hard drive which was shot on film in 2006 and scanned using a Nikon Coolscan 8000. 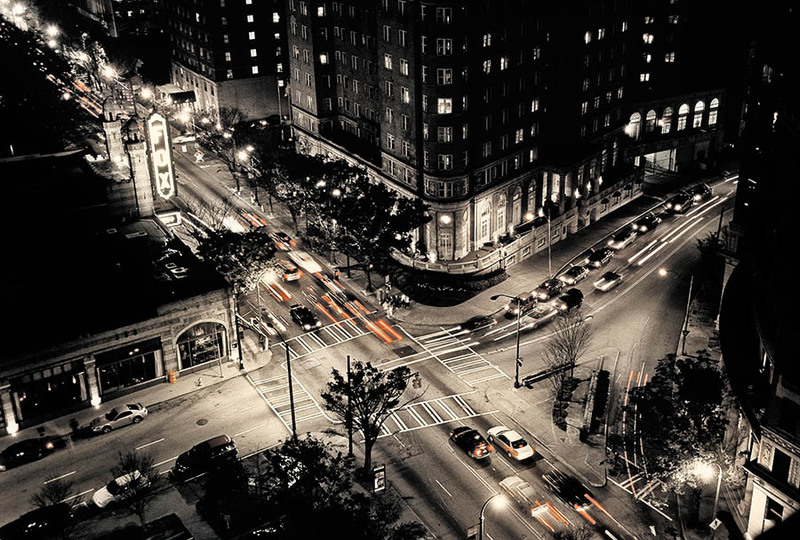 This view, taken from a friend's condo balcony, looks down on Peachtree Street running in front of Atlanta's venerable Fox Theater. Not sure what my settings were, but looking back at the image now, i wish it had been a longer exposure to lengthen the light streaks. You live, you shoot, you learn! Wow! This is great and well worth the wait for the new post. Amazing! Love this shot...and the streaks of color. It would be so cool to have a series of ATL streets shot in this tone/style.